These darling vintage style school desks and chairs will look great in any space and provide your child with a slick space to settle down for homework or for artistic endeavors. Each classic looking desk and chair is made of FSC certified beech plywood with a steel frame so they’re sustainable and sturdy. Bonus, there’s a rainbow of gorgeous and sophisticated colors to choose from, including lemon, plum, taupe, poppy, jade, antique pink and more. Desks and chairs are made in Europe and are perfect for children ages three-years and up. 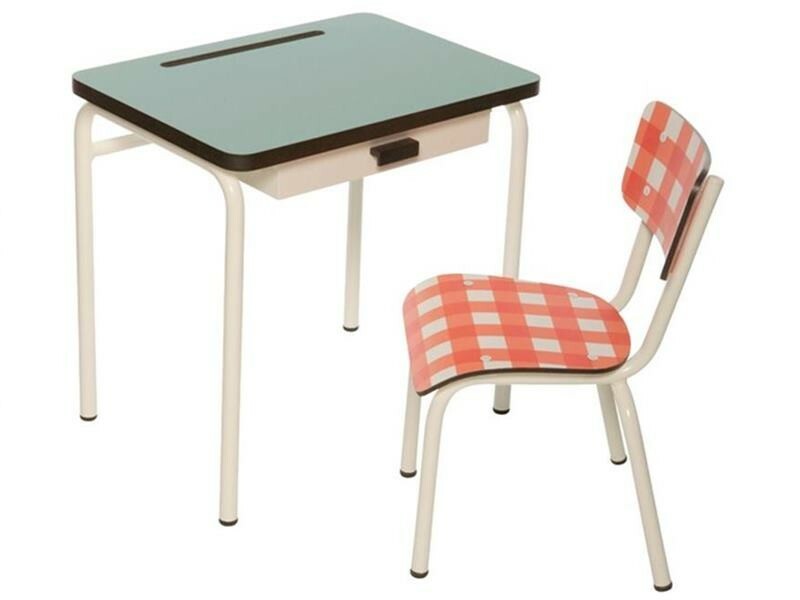 These darling vintage style school desks and chairs will look great in any space and provide your child with a slick space to settle down for homework or for artistic endeavors. Each classic looking desk and chair is made of FSC certified beech plywood�with a steel frame so they're sustainable and sturdy. Bonus, there's a rainbow of gorgeous�and sophisticated colors to choose from, including lemon, plum, taupe, poppy, jade, antique pink and more. Desks and chairs are made in Europe and are perfect for children ages three-years and up.